With more than 2 million Uber trips completed in Electric Vehicles (EV) in the United States and Canada in 2017, Uber is committed to facilitating more sustainable transportation in Montreal and other cities. By working together with driver-partners, AVÉQ, Electric Mobility Canada, and other local experts on an exciting pilot program, we’re helping to electrify more of the kilometres you travel. Now, whenever riders are matched with a driver-partner in an EV in Montreal, they will be notified in-app that they’re riding in an EV. Additionally, we’ve listened to driver-partners and heard their concerns about the unique limitations that driving an EV has with ridesharing and are working on specific product improvements for driver-partners with EVs. 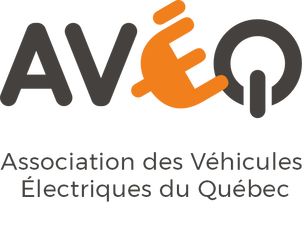 AVÉQ | AVÉQ has been a key supporter of transport electrification in Quebec since 2013. AVÉQ has contributed to an impressive number of events promoting electromobility, such as Branchez-vous and Rendez-vous Branchés, alongside their active member base of 8,300 and 1,900 volunteers across the province. Electric Mobility Canada | Founded in 2005, Electric Mobility Canada is a national membership-based not-for-profit organization dedicated exclusively to the strategic accelerated advancement of electric mobility as a readily available and important solution to Canada’s emerging energy and environmental issues. We hope that these efforts will help raise awareness about the important role EVs and other efforts can play in developing sustainable transportation in Montreal. Learn more about Uber’s additional commitments to working towards a more sustainable transportation by filling empty seats, partnering with transit agencies, and providing more in-app access to active options for transportation like Express POOL and Uber Bike provided by JUMP.